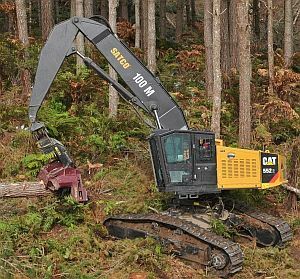 Caterpillar, Inc. announced last Wednesday that it has entered into a preliminary agreement with Weiler, Inc. to sell the Cat purpose-built forestry business. The sale is subject to negotiation of a final agreement, the closing of which is expected by early 2019. The proposed sale includes the purpose-built forestry product line consisting of wheel skidders, track feller bunchers, wheel feller bunchers, knuckleboom loaders, and related operations facilities including the manufacturing plant and warehouse in LaGrange, Ga., the demonstration and training center in Auburn, Ala., and the legacy Prentice parts distribution center in Smithfield, N.C.
"We believe that the purpose-built forestry product line is the ideal addition to our current product portfolio," commented Pat Weiler, owner and founder of Weiler, Inc. "We have a proven track record of working with Cat dealers all over the world to respond rapidly to customers with specialized product needs. We are confident that our existing product line, our flexible design and manufacturing strategy, and our unrivalled customer focus will differentiate us within the forestry segment."